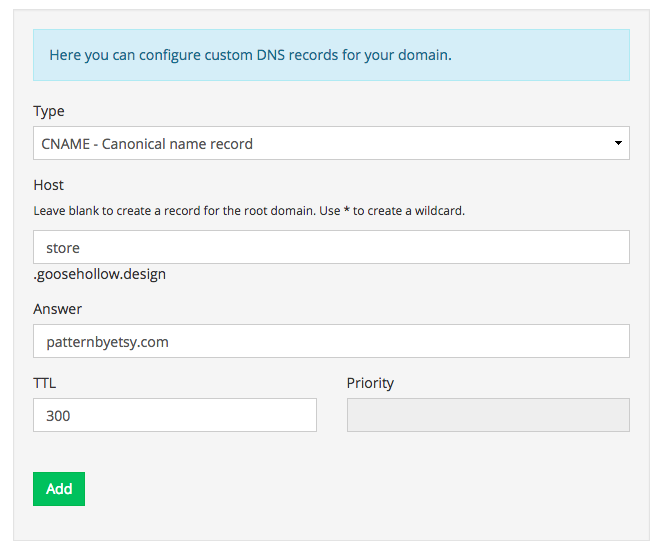 Want to link your domain to Pattern by Etsy? We can do that! You will need to add both an A record and CNAME record for your domain to work. 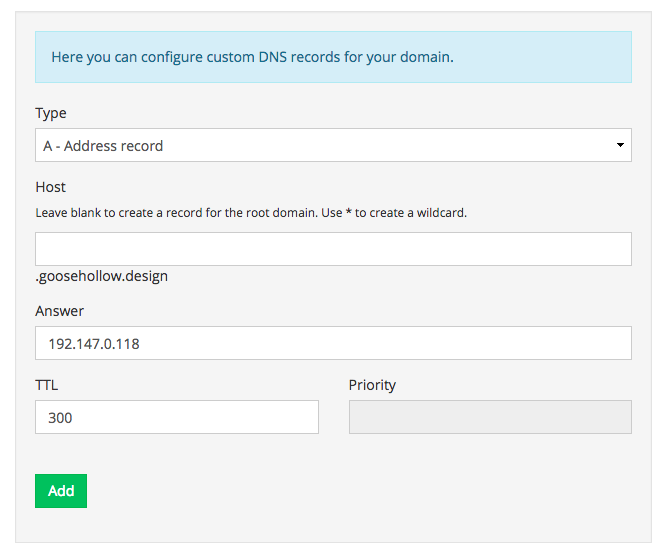 Scroll up to the top of the Manage DNS Records screen to add the correct A record. 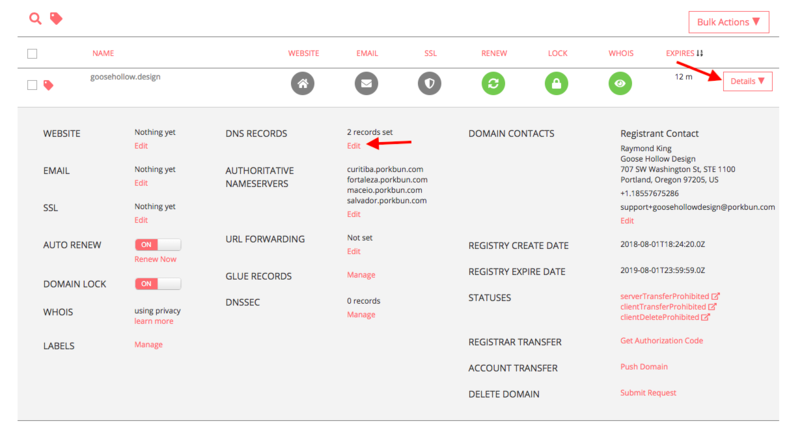 "Once you've finished setting up your records, you must visit your Pattern Dashboard to connect your domain to your Pattern site by entering www.YourDomain.com in the Connect field next to Own your domain? Keep in mind that it can take up to 48 hours for your domain to connect."